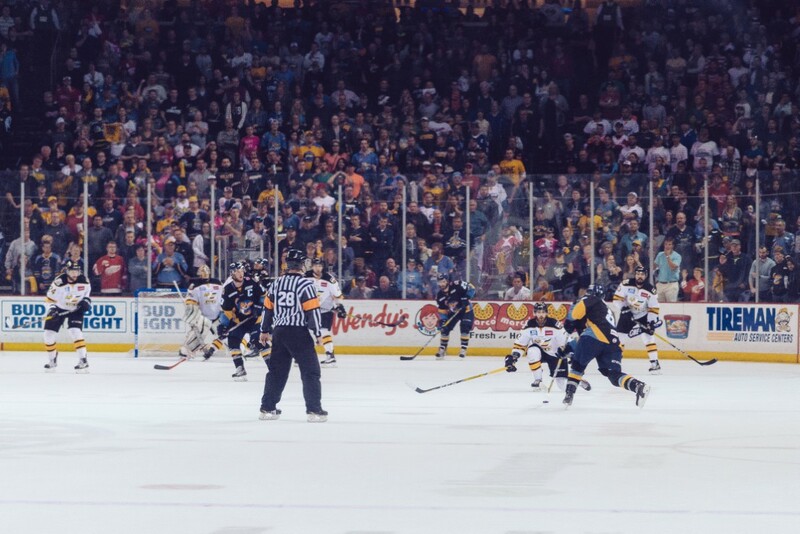 ﻿ Huntington Center - Ohio. Find It Here. 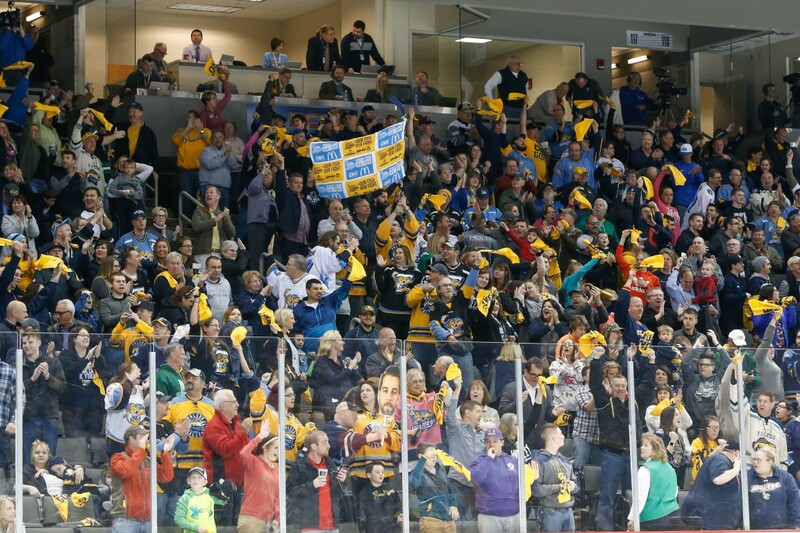 The Toledo Walleye are the ECHL affiliate of the Detroit Red Wings. 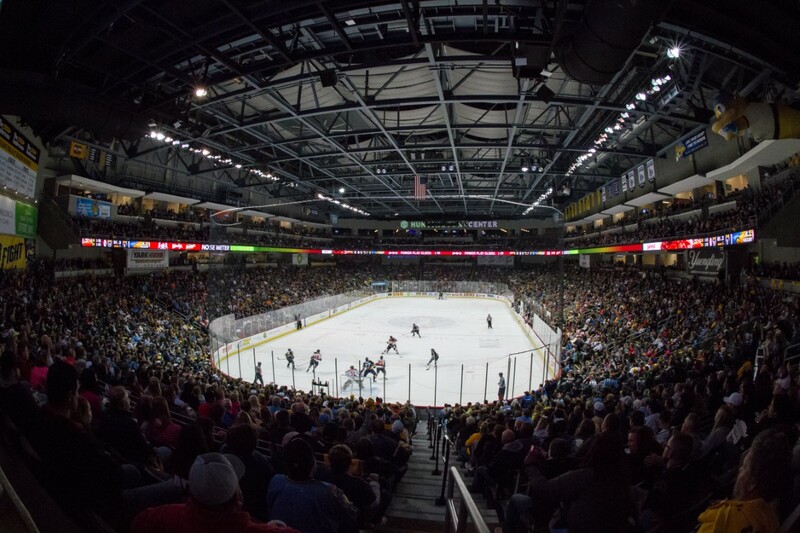 The Walleye have played in Toledo since 2009, but is a continuation of a long hockey tradition in Toledo dating back to the Toledo Mercurys in 1947, and including the Blades, Hornets, Goaldiggers, and Storm.The Huntington Center, located in downtown Toledo, is home to the Walleye. The arena can hold 8,000 people and is not limited to hockey - concerts and other events are held there as well. 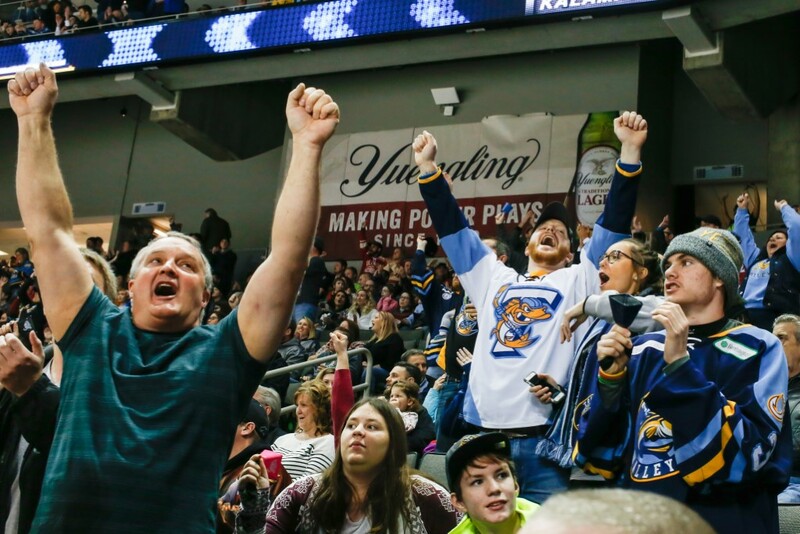 Toledo Walleye games are fun for the entire family, with exciting in-game promotions, themed jersey nights, and so much more! 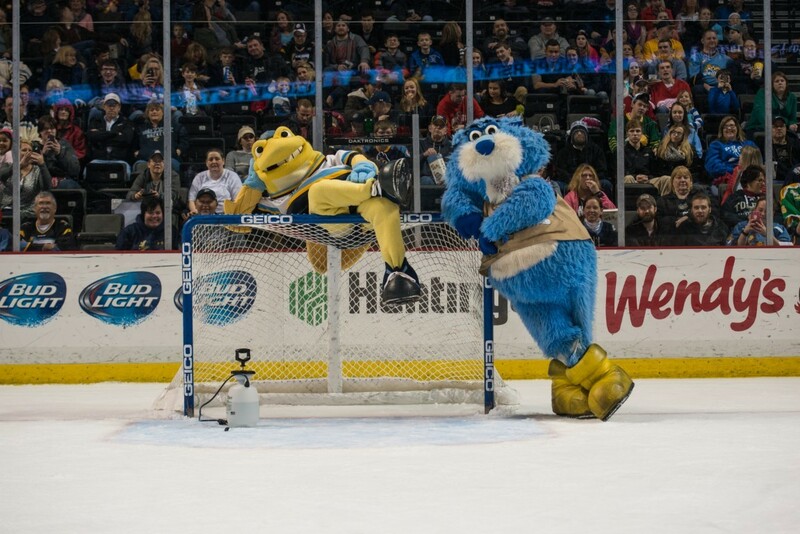 Spike and CatTrick are the official mascots of the team - make sure you pay them a visit when you're at a game!